It’s been a while—five years, in fact—since DC Extended Universe mastermind and internet hate lightning rod Zack Snyder has gotten to direct anything that wasn’t about growling men in capes slugging each other in the face and screaming about their moms. (A creative drought that might explain Snyder’s recent detour into the world of Star Wars fan film editing.) According to The Hollywood Reporter, though, a recent pushback in the scheduling for Snyder’s second Justice League movie—caused by the insertion of the standalone Batman film onto the Warner Bros. schedule—will give the director a chance to dip his toe back into the real world for a second. 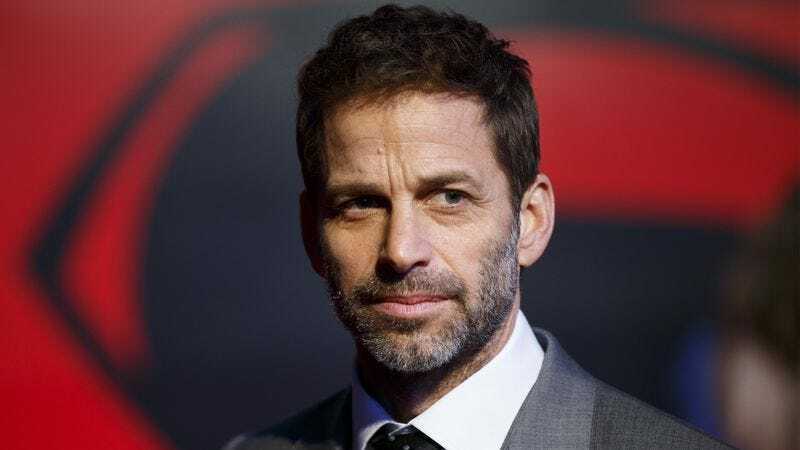 Snyder, who recently wrapped shooting on Justice League, has indicated that he’s restarting work on The Last Photograph, a project he originally developed shortly after the release of 300 in the mid-2000s. The film—which once had Christian Bale and Sean Penn attached to star—centers on a reporter operating in Afghanistan, forced to team up with a special ops soldier when the entire unit he was embedded with gets wiped out in an attack. The current plan, according to THR, is for the relatively smaller film to act as a kind of gritty, thrilling palate cleanser, shooting some time in late 2017.